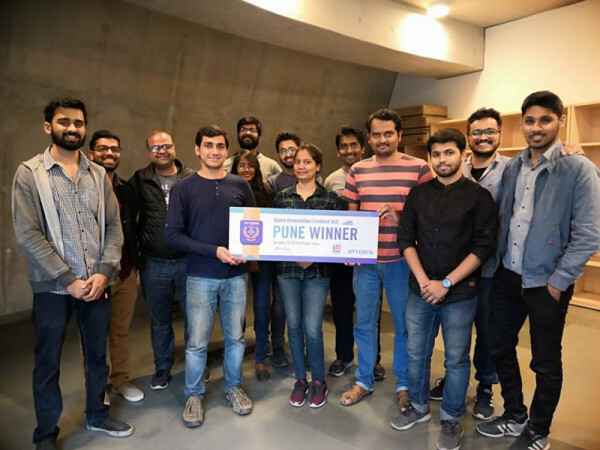 FlytBase Labs, a San Francisco and Pune-based drone technology startup, has won the grand winner award in the grand finale of NTT (Nippon Telegraph and Telephone) Data Open Innovation Contest 9.0 which held in Tokyo on March 13-14. The international contest saw the participation of 401 startups from 18 countries. Formerly known as NavStick, FlytBase has beaten 20 startups in the finals. The startups were from all across the globe and had made it to the finals by careful selection by Japanese IT firm NTT Data. With headquarters in San Francisco Bay Area, FlytBase has its customer base mainly in the US, and its clients range from US telecom operators, security services companies, emergency response and public safety agencies among others. Founded in 2017, by IIT-Bombay alumnus Nitin Gupta, FlytBase claims to be world’s first Internet of Drones (IoD) platform, that allows developers to easily build intelligent drones, connected with cloud-based business applications. The innovative startup has developed a software that works across off-the-shelf drones from various vendors, enables intelligent fleets and seamless integration with business applications. FlytBase was part of Microsoft Ventures-backed GenNext Accelerator Program, 2016.